The Supreme Court said Wednesday that embattled realtor Amrapali Group of companies has played a "big fraud" by diverting money collected from home buyers to other firms and the "big racket" behind this has to be unearthed. A bench was told by the forensic auditors that from the documents of the group, it appeared that over Rs 100 crore was diverted to a company called GauriSuta Infrastructures Pvt Ltd, by one of the group firms and there were "various malfunctionings" by statutory auditors, who have totally failed in their duties. Cyrus Mistry has donned a new avatar. The former chairman of Tata Sons has announced the formation of Mistry Ventures LLP, established with the intention to provide strategic insights and advice to businesses, incubate new ventures and provide seed, early stage and growth capital to start-ups. Outlining his vision for Mistry Ventures, Mr. Mistry stated, "The intent to deliver profit with positive social impact will be embedded in each of the ventures we promote or partner with." 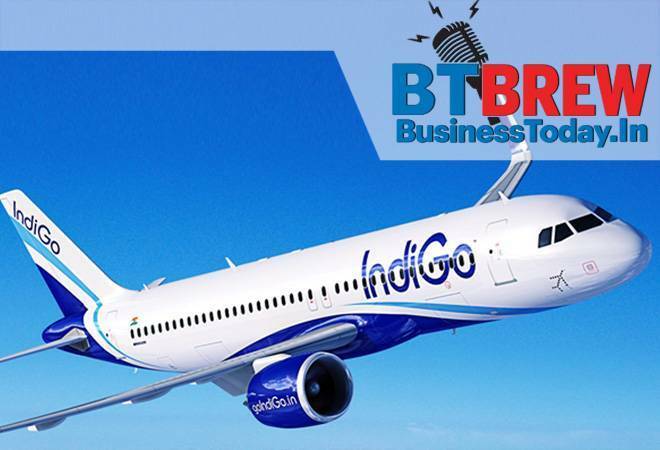 Flying into the red, IndiGo's parent InterGlobe Aviation Wednesday posted a loss of Rs 652.1 crore in the quarter ended September as the no-frills airline was battered by spiralling costs and intense competition. This is the first time that the carrier has posted a quarterly loss since getting listed in November 2015. IndiGo, the country's largest airline with over 40 per cent market share, reported a profit of Rs 551.6 crore in the year-ago period, according to a regulatory filing. India will become the world's third largest aviation market around 2024 surpassing the UK, global airlines' body IATA said on Wednesday as it projected total air passenger numbers to touch 8.2 billion in 2037. Releasing the latest update to IATA's 20-year Air Passenger Forecast, the grouping also cautioned that growth prospects for air transport and the economic benefits driven by aviation could be curtailed if protectionist measures are implemented by governments. The present trends in air transport suggest passenger numbers could double to 8.2 billion in 2037, the International Air Transport Association (IATA) said. According to the IATA, China would displace the United States as the world's largest aviation market in the mid-2020s. In a new twist in the Paytm extortion saga, some new details have emerged that suggest Paytm promoters were allegedly trying to frame Sonia Dhawan, secretary of Vijay Shekhar Sharma, as she had not "agreed to their demand of selling her stake" in the company. As per the latest updates, Sonia Dhawan's lawyer Prashant Tripathi has accused Vijay Shekhar Sharma of revealing Sonia Dhawan's identity, saying that she was not the one who received the money from him. Tripathi also alleged that like Sharma, Sonia and her husband, Rupak Jain, had received a similar extortion call on September 22. Yahoo has agreed to pay $50 million in damages and provide two years of free credit-monitoring services to 200 million people whose email addresses and other personal information were stolen as part of the biggest security breach in history. The restitution hinges on federal court approval of a settlement filed late Monday in a 2-year-old lawsuit seeking to hold Yahoo accountable for digital burglaries that occurred in 2013 and 2014, but weren't disclosed until 2016.